T-Mobile has kicked off a Preferred Wi-Fi Network Trial in the Orlando and Tampa markets. 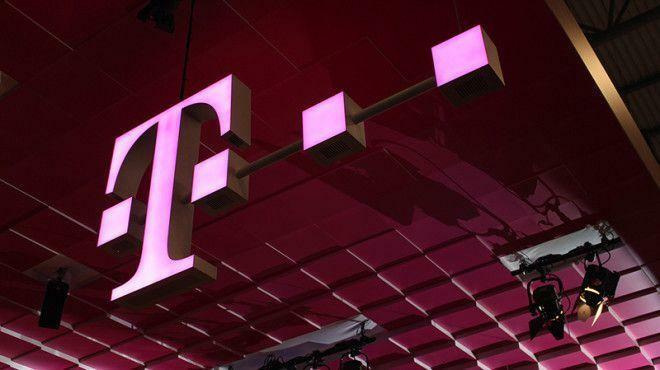 The trial will see T-Mo send opt-in SMS messages to 50,000 customers who will then automatically connect to the 34,000 Bright House Networks public hotspots in the Orlando and Tampa areas (There are apps for Android and iOS to help you find BHN hotspots). Once you’ve opted in to the trial, your phone will use a feature called Passpoint to automatically connect to the Bright House Networks Wi-Fi hotspots while you’re out and about. Passpoint will then route your calls, messages, and data through the hotspot. T-Mobile says that your calls and texts will be sent over an encrypted connection and that they’ll be just as secure as they would be on the cellular network. Ol’ Magenta also notes that while having a VoLTE-capable phone isn’t required for the trial, VoLTE will help to ensure smooth phone call handoffs when transitioning from a cellular connection to a Wi-Fi network. There appear to be a few different purposes for this Preferred Wi-Fi Network Trial. Automatically connecting to these hotspots will mean that you don’t use your high-speed data allotment, and it also helps to ensure that you’re able to use your phone if you’re in an area that may not have great cellular service. Additionally, T-Mo explains that automatically connecting to the hotspots will help to cut down on battery usage that you’d normally expend while searching for a Wi-Fi network to connect to. Have any of you joined the Preferred Wi-Fi Network Trial? Maybe they could pay or offer bill credits to customers willing to share their connection? Most internet companies have a limit on the amount of data you can use. Albeit it is a softcap and they don’t come after you, if you have dozens of people a day getting on it would go crazy not to mention it is just asking for trouble for the owner of that router. That is where net neutrality comes in. Well, then you can use that and go after the companies. But net neutrality has more to do with what you do with the data not how much data you get. You agreed to a certain allotment by getting service with the respective internet company. Do you want me to flash my Cellspot router with custom firmware? Unless you purchased your Cellspot router – it’s not “your” Cellspot router to flash…. If you flash the firmware you void the warranty meaning when you cancel service and want to return it? You need to flash it back or risk paying the damage fee. I’ve returned unlocked and rooted phones to T-Mo before, never had an issue with them about it. So I dont see what you’re complaining about. I’ve rooted every phone I’ve ever bought from them, and never had issue when I’ve done Jump upgrades or warranty claims about the phone(s) being rooted. I don’t think so. That’s people’s personal internet and if it is password protected it won’t do any good. Why would anyone allow random people off the street to use their home internet? I guess you don’t have a Comcast modem/wireless router combo, because that’s what they have people do. Where does everyone think those Brighthouse hotspots are coming from? Those are probably using residential cable modems that have Wi-Fi built in. Comcast does the same thing. Its actually kind of a win-win for everyone if they can configure QOS to use only a small percentage of your bandwidth. Brighthouse actually has independent hotspots throughout the city and they even advertise that their subs. use it in an effort to avoid overages. I don’t know if any ISP has publicly announced that they do that. Comcast wanted to do it, but backed off because of the backlash from customers. Time Warner always sends me newsletters about their WiFi hotspots in my area and they list maps on where you can use see them. I have my own personal modem and router, so they wouldn’t be able to use my connection as a public hotspot anyway. I save money on equip rentals too. In the Orlando area, hoping I get that message soon! It’s funny because I suggested that they do something like this and a lot of people said that was a terrible idea. While spectrum seems to be a challenge for T Mobile to attain (see spectrum auction info). This would be a work around for T Mobile to still compete in competitive markets and grow their client base to gain the revenue they need to attain the spectrum they need. My only question is why have they waited so long to start this. They have had Wi-Fi calling available a lot longer than anyone else (talking about Sprint), and therefore should have been trying to capitalize a lot sooner on this. You can use my cellspot router. As long as its not using my banwidth or my home network. My internet providor could probably do another 100 MBPS on my line so I am sure its easy enought to segragate the bandwidth and network. However, you will have to pay me for the electricity usage. Which is probably like $5 a month. If you do all that, I am not sure why anyone would be against this. what? you pay $5 a month worth of electricity for a router!!!? What kind of router are you using? So, just to be clear-in case it has not been said already, I would need to turn on my WiFi? won’t that kill my power? If it is always looking for a wifi network, yes it will lower it some. maybe not a lot but some. I personally hate when my Android goes searching for WiFi on its own, and always turn off that feature. You’re going to probably kill more battery in the search for hotspots. Hotspot density most likely isn’t even enough to make it worth while. Your phone will gain and loose connection while driving like crazy! Why did T-Mobile leave behind Galaxy Note 3? its like any other Samsung phone or Android. Why do you think they do not include it. It is because they want you to upgrade to the latest phone. Why do you think pretty much every Android phone company stops updating there old phones. The only reason isn’t because the phone may not support the new version of android it is because they want you to upgrade to the latest phone. This is how it is and will always be with android. im in the orlando area and already a bright house customer.. been with tmobile since before it was tmobile.. no opt in notification.. sigh.. I have already has this feature enabled for the past 7 months on my Galaxy Note 4. With WiFi on go to advanced go to pass point and check it. So if they actually do push it on bright house you will already have it enabled to use. Only problem is the hand off from the network to WiFi does not work good because the VoLTE isn’t fully integrated yet in a lot of the market. TMO is still upgrading their towers for this option to work properly. Yeah. I always have this issue when moving from Wifi to VoLTE and vice-versa would always make my call drop. I would receive a call failed error message on my phone. It’s something they need to fix. I never got a text message to join any trial, however the login window pops up continuously while in range. I cancel it and it keeps popping up. I never log into BHN hotspots because they never work for me, I certainly don’t want it forced on me now. I’m in Tampa. Wonder if they’ll extend this to Comcast and Time Warner?